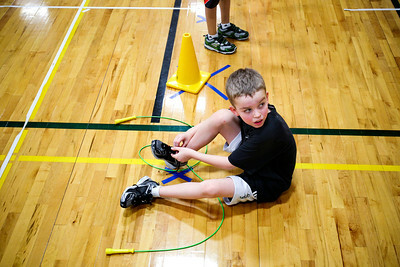 Jenny Kane - jkane@shawmedia.com Kyle Zimmer, 8, takes a second to tie his shoes during Martin Elementary’s Jump Rope for Heart. It is the schools ninth year participating in Jump for Heart. The program is designed to teach participants about the benefits of regular exercise and a healthy lifestyle, as well as emphasize the importance of physical fitness to reduce the risk of cardiovascular disease. On Thurs. 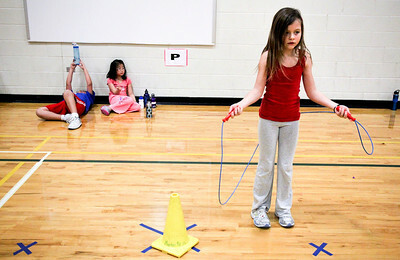 Feb. 16, Martin Elementary’s will hold its third annual Hoops for Heart event. The events promote teamwork, they build school spirit, and give students the opportunity to contribute to their community. 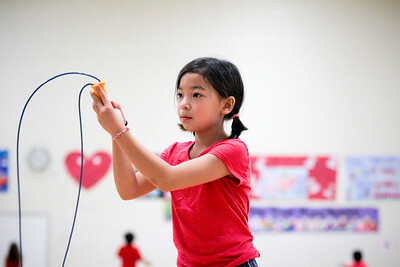 Jenny Kane - jkane@shawmedia.com Maria Mercurio jumps rope while Elizabeth Chong and Alex Rojas take a break during Martin Elementary’s Jump Rope for Heart. It is the schools ninth year participating in Jump for Heart. The program is designed to teach participants about the benefits of regular exercise and a healthy lifestyle, as well as emphasize the importance of physical fitness to reduce the risk of cardiovascular disease. On Thurs. 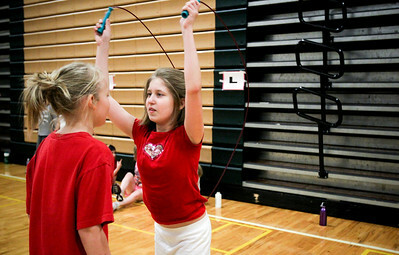 Feb. 16, Martin Elementary’s will hold its third annual Hoops for Heart event. The events promote teamwork, they build school spirit, and give students the opportunity to contribute to their community. 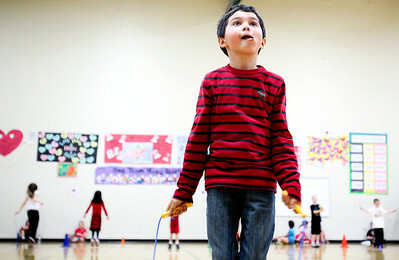 Kyle Zimmer, 8, takes a second to tie his shoes during Martin Elementary’s Jump Rope for Heart. 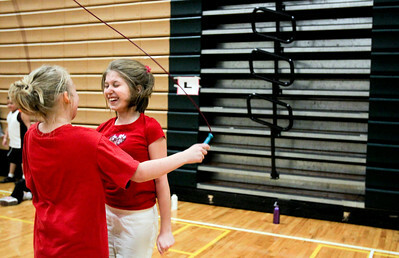 It is the schools ninth year participating in Jump for Heart. The program is designed to teach participants about the benefits of regular exercise and a healthy lifestyle, as well as emphasize the importance of physical fitness to reduce the risk of cardiovascular disease. On Thurs. 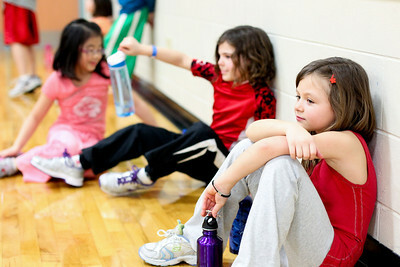 Feb. 16, Martin Elementary’s will hold its third annual Hoops for Heart event. The events promote teamwork, they build school spirit, and give students the opportunity to contribute to their community.